Dogs are very welcome at the Dolphin Inn. 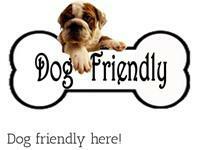 There is an extra charge of £10.00 per dog. Please let us know when placing your booking.